Nick shared his video discussing his thoughts and analysis of the Microsoft Nokia acquisition. He explains that it’s not just mobile that Microsoft gained in the purchase, but also some patent licenses. It seemed like a dramatic turn of events for Microsoft considering the announced resignation of Steve Ballmer and the lackluster sales of the Windows Phone devices. The folks at aNewDomain.com shared some great insight on this deal, especially the “look” of the leaders involved. Almost like the acquisition was a victory for one party and a loss for the other. 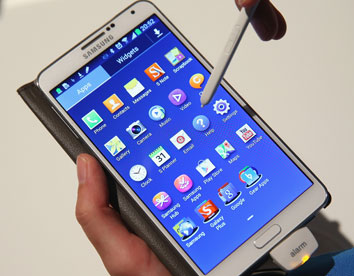 Samsung announced its new Galaxy Note III. Notice I didn’t put an exclamation point on that sentence because I’m not all that excited. Why? Because I don’t like physical buttons on smartphones! Ok that may be petty of me, but that’s my stance. The larger and lighter phone is probably bound to be a hit in the market. The mythical Samsung smartwatch has been announced as well. Samsung aims for this to be the perfect companion with the Note III. The watch looks great and boasts to give you a little more functionality with your notification interactions. What are the use cases of these smartwatch devices? Mat argues that people won’t desire to a Google Glass-like device, but will try a watch because it doesn’t look as nerdy. Supposedly, Qualcomm is creating a smartwatch also. Google teams up with Kit Kat to name the next version of Android. Yes, that’s right. The new version of Android is to be known as Kit Kat (version 4.4). This is the first time Google teamed up with a branded company to name its operating system. We all look forward to Google I/O 2014 to get more details about version 4.4. Sony’s new Z1 is yet another magnificent smartphone. 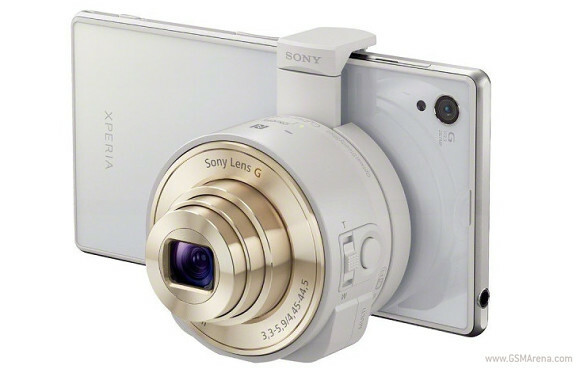 This device will offer 20 megapixel camera and you can buy an option lens attachment. We look at the concept of carrying a smartphone with a lens attachment versus carrying a phone and a DSLR. I argue that someone carrying multiple devices, would probably rather carry a phone and a DSLR. Especially if they’re already used to it. Another concern is simply the feel of the phone. Is this comfortable? Mat likes the Windows 8 and Android tablet. It’s called the Asus Trio. This device can act as a Windows 8 laptop as well as attaches to a monitor that makes it a desktop PC. Pull the keyboard off and you have an Android tablet. Pretty slick. Probably expensive too. Are hardware OEM’s in a tight spot due to the success of Apple’s iPhone, Google’s Moto X and Microsoft’s Surface? The OEM’s aim to get better numbers in production and sales as any business, but the big three of the mobile space has done their own manufacturing in house. What can the OEM’s do to win the likes of Google back as their third party vendor? Larry has his Chromecast, but is unable to have satisfactory streaming from the laptop to it. He finds that the radios in the device stink. In comparison to Larry’s Roku device as well as his laptops, the Chromecast is not as efficient on connecting via wireless to his network. We close the show with a story of discovering the ins and outs of a user interface. Thanks for listening to the show everyone. Check out our feeds in RSS, iTunes and Stitcher. Also, join our Google Plus community and share stories you find. Your comments and support are always appreciated. We’ll see you next week!